Proposed Constitution and Bylaw amendments for the 2019 Annual Convention. Section 2: The Executive Committee of the Department shall consist of the officers of the Department, the immediate Past Department Commander and National Executive Committeeman, together with District Commanders, as hereinafter provided. The Department Commander shall serve as the Chairman of the Department Executive Committee. Section 2: The Executive Committee of the Department shall consist of the officers of the Department, the immediate Past Department Commander and National Executive Committeeman, together with the Vice Commanders, District Commanders, as hereinafter provided. The Department Commander shall serve as the Chairman of the Department Executive Committee. 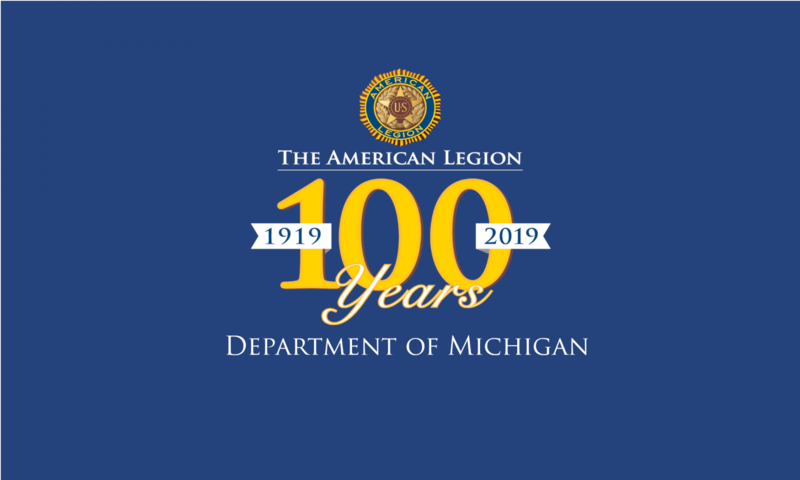 The Department organization shall consist of the following officers: a Department Commander, Five (5) Vice Commanders, Department Adjutant, Department Finance Officer, Department Judge Advocate, Department Historian, Department Chaplain and Department Sergeant-at-Arms. Section 1: The Department organization shall consist of the following officers: The Department Commander, Vice Commanders, District Commanders, Department Adjutant, Department Finance Officer, Department Judge Advocate, Department Historian, Department Chaplain and Department Sergeant-at-Arms. Any Post of the Department failing to meet the obligations imposed upon it by the National Constitution and By-Laws, or Department By-Laws, or ceasing to function for six months as an American Legion Post, or neglecting to pay the per capita tax due to the National, Department and District organizations, shall, upon the order of the Department Executive Committee, surrender its charter, together with all property of every description, including official insignia and records belonging to the Department; provided the Commander of the District wherein the Post in question is located shall have consulted with the last known Post Commander and Adjutant; has been assured that each Post member on the current roster has been notified by receiving a copy of each notice of the intention to file for charter cancellation; has made a thorough survey of the assets of the Post, both real and financial, and has notified Department Headquarters, in writing, not later than ten (10) days prior to the next official meeting of the Department Executive Committee, that the District Commander recommends the consideration of the cancellation of the questioned Post’s charter. Any Post of the Department failing to meet the obligations imposed upon it by the National Constitution and By-Laws, or Department Constitution and By-Laws, or ceasing to function for six months as an American Legion Post, or neglecting to pay the per capita tax due to the National, Department and District organizations, shall, upon the order of the Department Executive Committee surrender its charter together with all property of every description, including but not limited to all assets both real and financial and official insignia and records belonging to the Department; provided the Commander of the District wherein the Post in question is located shall have consulted with the last known Post Commander and Adjutant; has been assured that each Post member on the current roster has been notified by receiving a copy of each notice of the intention to file for charter cancellation; has made a thorough survey of the assets of the Post, both real and financial, and has notified Department Headquarters, in writing, not later than ten (10) days prior to the next official meeting of the Department Executive Committee, that the District Commander recommends the consideration of the cancellation of the questioned Post’s charter. Once the Department Executive Committee has ordered the surrender of a charter the Department acting through either the Department Commander or the Department Adjutant shall act as Power of Attorney for the Post for the purpose of surrendering or otherwise properly conveying or properly disposing of all property of every description, included but not limited to all assets both real and financial.